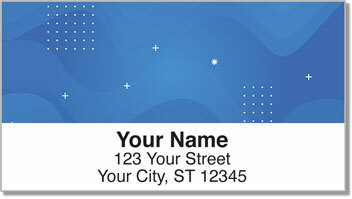 Artistic expression and stylish professionalism are seamlessly blended on this unique set of return address labels from CheckAdvantage. Each of the four contemporary designs uses the color blue to effectively display class and originality. They are the ideal choice for anyone who wants to portray both a polished look and creative flexibility. 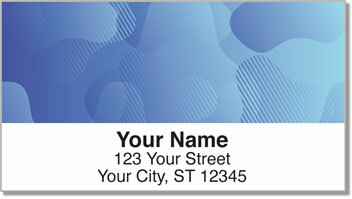 Use them on personal or business mail to save a considerable amount of time. A convenient self-adhesive backing means the only thing you have to do is peel and stick the labels on each envelope you send. 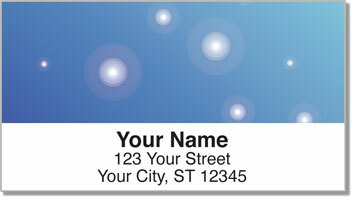 Get your very own Studies in Blue Address Labels right now! 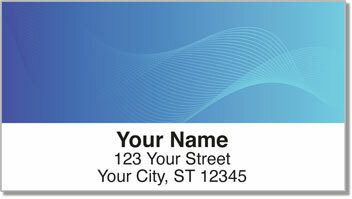 We also offer this eye-catching selection in a set of matching personal checks.